What mood are you in? The systems development company Advise Solutions were looking for a new brand identity. Something that would reflect who the company really are: passionate, hard-working and unpretentious, with a vision to be the best workplace for developers in Sweden. Advise Solutions emerged as Jelly Hive, ready to take on the world with a new name, new look and new website. 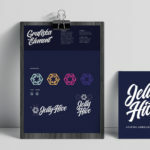 The new brand identity had an important job to do: bring the Jelly Hive values to life. Bold colours and a jaunty logo captured the company’s playful spirit, while the new graphic guidelines gave the brand a unique yet consistent visual style. Modern, clean and easy to navigate, the Jelly Hive website is designed as an interactive platform –a place where the company’s employees can express themselves and demonstrate their skills in coding and system development. 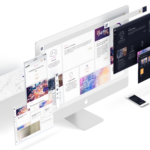 With its friendly tone and focus on teamwork, the website is more than an inviting digital home. It’s an important asset to the Jelly Hive brand – and just what they need to stand out from the rest of the IT crowd. If you are looking for a braver approach to your marketing, let’s meet for a coffee.